The Department of Justice has approved the Walt Disney Company’s $71 billion bid for the entertainment assets of 21st Century Fox. The government’s approval was filed in federal court on the condition that Disney, which already owns ESPN, divest all of Fox’s 22 regional sports networks, which include valuable channels like the Yankees’ YES network. “Today’s settlement will ensure that sports programming competition is preserved in the local markets where Disney and Fox compete for cable and satellite distribution,” Makan Delrahim, the head the Justice Department’s antitrust division, said in a statement. The Walt Disney Company has upped its bid to acquire 21st Century Fox by 35 % to $71.3 billion, following a rival bid from the Comcast Corporation last week for $65bn (£48.6bn) in cash. Disney has also moved from of an all-stock deal for Fox, owner of assets including X-Men film studio 20th Century Fox, and a 39% stake in Sky, to a 50/50 mix of cash and shares. The Walt Disney Company has entered into an agreement to acquire 21st Century Fox, including the Twentieth Century Fox Film and Television studios, along with cable and international TV businesses, for approximately $52.4 billion in stock. Prior to the acquisition, 21st Century Fox will separate the Fox Broadcasting network and stations, Fox News Channel, Fox Business Network, FS1, FS2 and Big Ten Network into a newly listed company that will be spun off to its shareholders. Combining with Disney are 21st Century Fox’s film production businesses, including Twentieth Century Fox, Fox Searchlight Pictures and Fox 2000, and its storied television creative units, Twentieth Century Fox Television, FX Productions and Fox21. Disney will also acquire FX Networks, National Geographic Partners, Fox Sports Regional Networks, Fox Networks Group International, Star India and Fox’s interests in Hulu, Sky plc, Tata Sky and Endemol Shine Group. Under the terms of the agreement, shareholders of 21st Century Fox will receive 0.2745 Disney shares for each 21st Century Fox share they hold. Disney will also assume approximately $13.7 billion of net debt of 21st Century Fox. The acquisition price implies a total equity value of approximately $52.4 billion and a total transaction value of approximately $66.1 billion for the business to be acquired by Disney, which includes consolidated assets along with a number of equity investments. The acquisition is expected to yield at least $2 billion in cost savings from efficiencies realized through the combination of businesses, and to be accretive to earnings before the impact of purchase accounting for the second fiscal year after the close of the transaction. Robert A. Iger, Chairman and Chief Executive Officer of The Walt Disney Company, said, “We’re excited about this extraordinary opportunity to significantly increase our portfolio of well-loved franchises and branded content to greatly enhance our growing direct-to-consumer offerings. The deal will also substantially expand our international reach, allowing us to offer world-class storytelling and innovative distribution platforms to more consumers in key markets around the world.” Mr. Iger will continue as Chairman and Chief Executive Officer of The Walt Disney Company until the end of 2021. 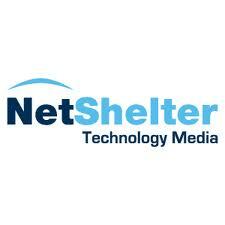 Ziff Davis, the digital media company in the technology, gaming and men’s lifestyle categories, has acquired NetShelter. The terms of the deal were not disclosed. Ziff Davis is a division of j2 Global, Inc.
NetShelter is a network of over 150 consumer and business tech sites, including AndroidCentral.com, MacRumors.com, Neoseeker.com, SlashGear.com and TechSpot.com, which create over 40,000 articles every month, delivering nearly 16 billion ad impressions per year. Hemi Zucker, CEO of j2 Global, said: “This acquisition not only extends Ziff Davis’ leadership position in the tech vertical but makes Ziff Davis overall one of the largest digital media companies in the U.S. that can deliver advertisers targeted, highly desirable audiences of significant scale.